I am a little embarrassed to say this, but I’m going to say it anyway. I always thought that soda bread had soda water in it, and that’s why they called it soda bread. I know this is a traditional Irish recipe that goes back however many hundreds (maybe thousands) of years. No, it doesn’t make sense that someone a few hundred years ago would have a bottle of soda water to throw in the bowl to mix with their flour, but please, give me a break, I am not Irish and had never had soda bread before this weekend. Now that I figured out that soda bread is really just called soda bread because of the baking soda that is used as a raising agent instead of yeast I feel enlightened! I found a great website where the whole purpose of it is to preserve the tradition of soda bread and gives you loads of information about it. I got my recipe from this site and am happy to share it with you! There are different kinds of soda bread. 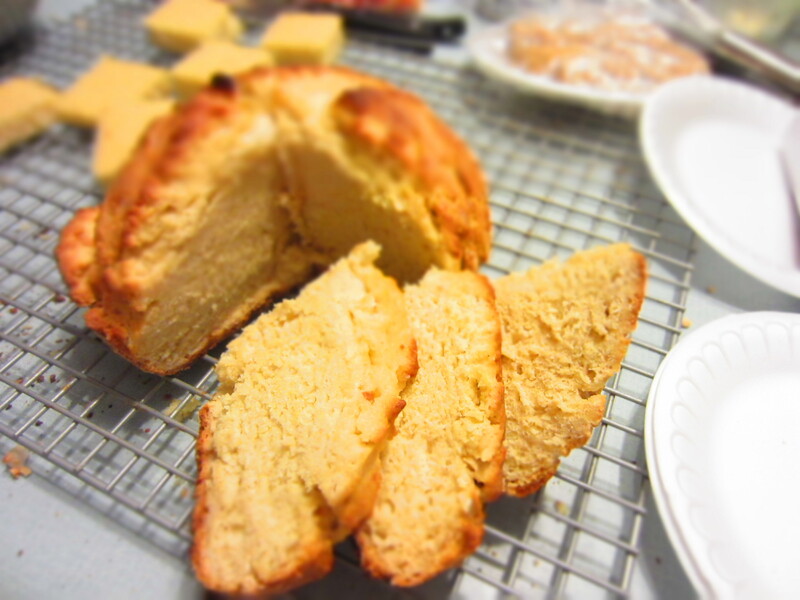 I made the White Soda Bread. It turned out fabulous! I absolutely loved it! It was so fast and easy. As someone who makes sourdough bread often I was absolutely amazed that the bread could be so fast and turn out tasting so good. I seriously felt like I was simply making an add water bread mix (except I was adding buttermilk). So definitely try it out! 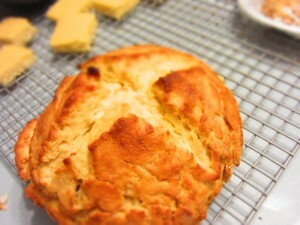 Click HERE to go to the soda bread recipe page. HAPPY ST. PATRICK’S DAY!